Alpaca wool is hypoallergenic which means people won’t be allergic to it. A male is known as a MALE, a female is known as a FEMALE and a baby is known as a CRIA. A group is known as a HERD. Along with camels and llamas, alpacas are classified as Camelids. 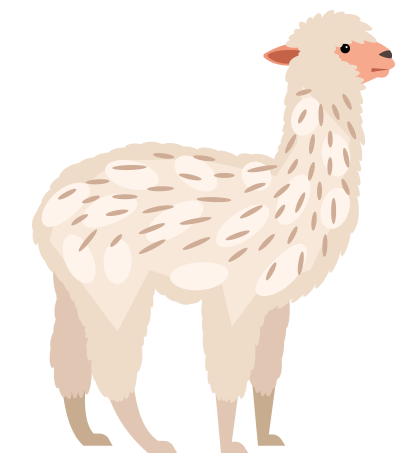 Alpacas and llamas can successfully cross-breed. The resulting offspring are called huarizo, which are valued for their unique fleece and gentle dispositions. Alpacas are social herd animals that live in family groups consisting of a territorial alpha male, females and their young. 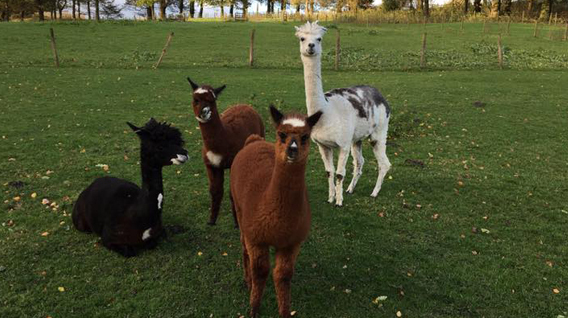 Alpacas warn the herd about intruders by making sharp, noisy inhalations that sound like a high-pitched bray. The herd may attack smaller predators with their front feet, and can spit and kick. Not all alpacas spit, but all are capable of doing so. Spitting is mostly reserved for other alpacas, but an alpaca will occasionally spit at a human. Most alpacas do not like being grabbed. 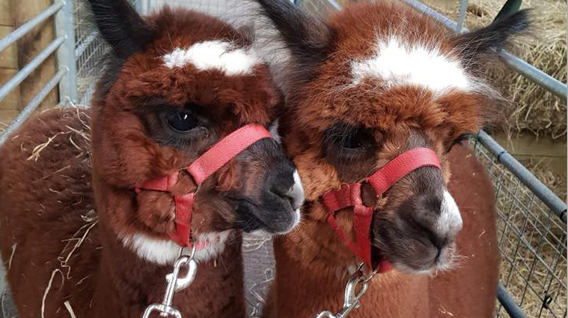 Some alpacas tolerate being stroked or petted anywhere on their bodies, although many do not like their feet, lower legs, and especially their abdomen touched or handled. Did you know when alpacas have their baby they do not lick it clean? They stand over them and let them naturally dry. This is This is because their tongues aren’t long enough to come out of their mouths. ORIGIN: Originating in the South America. LONGEVITY: Can live 20 to 25 years. WEIGHT: They weigh between 48 and 84 kilos. SIZE: Can grow between 81cm and 100cm. DIET: They generally eat hay or grasses, but can eat some other plants too. GESTATION: Alpaca's gestation period is 11 months and almost always have single births.